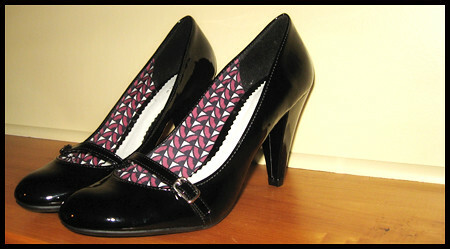 maryjanes.jpg, originally uploaded by tinkerellen. that involves patent leather and straps. omg, i can just see those on you!! very cute cute cute! get a pic with your feet in them. it also involves wanting to twist your ankle in high heels! and how did i know me mum would be the first commenter? weird. it's not a sickness! it's a talent... a necessity.. a joy! Don't you love Payless? I bought the same exact shoes two weeks ago! Great sickos think alike! payless!? why didn't you say so? I believe the ability to pick cute shoes is a gift from heaven above. Some people just don't have it. You, obviously, do. Flaunt it! for the record, i'm morninglory's mom.